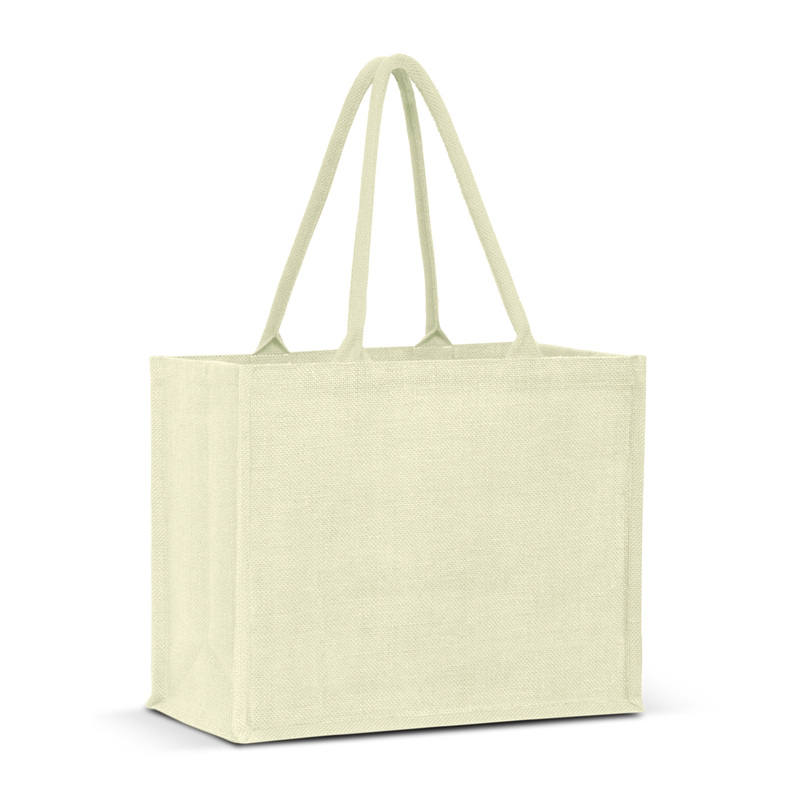 A high quality jute tote bag with matching coloured bag and handles. 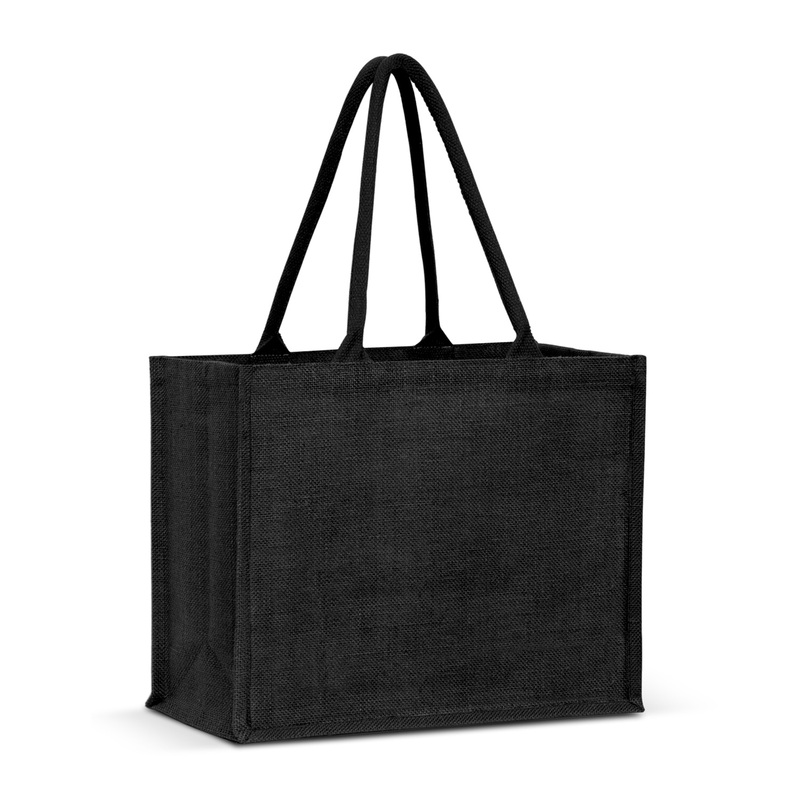 Whether it's for shopping or daily errands these bags are an excellent choice. 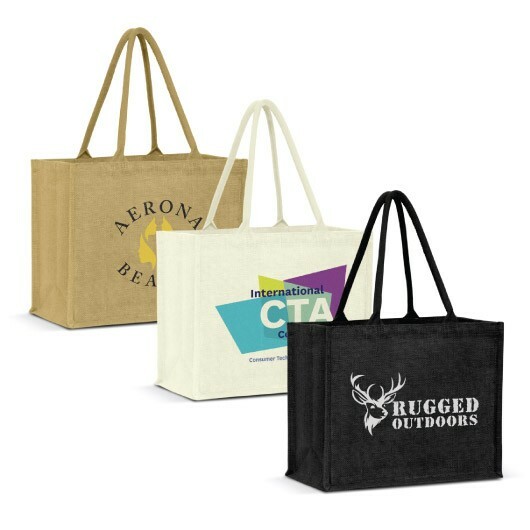 They offer a large decoration space that allows your logo to be easily seen and feature matching coloured handles to the bag. They're extra wide in size with laminated jute material and a large gusset with padded cotton handles. 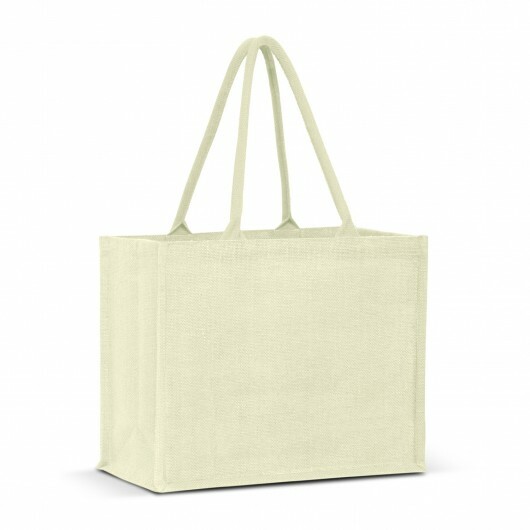 Great for the environment and your logo!